PARLIAMENT – Milton Orech Opio, the Head of security, Bank of Uganda has admitted that the former Executive Director, Banking Supervision, Justin Bagyenda sneaked out of the Central Bank with bags of documents which were traced to Bagyenda’s home on February 11, 2018, and the Bank later recovered some of the documents. Orech made the revelation on Tuesday at Parliament where the officials of Bank of Uganda were appearing before the Committee of Commissions statutory Authority and State Enterprises (COSASE) that is investigating the procedure used by Bank of Uganda to close the seven defunct banks. 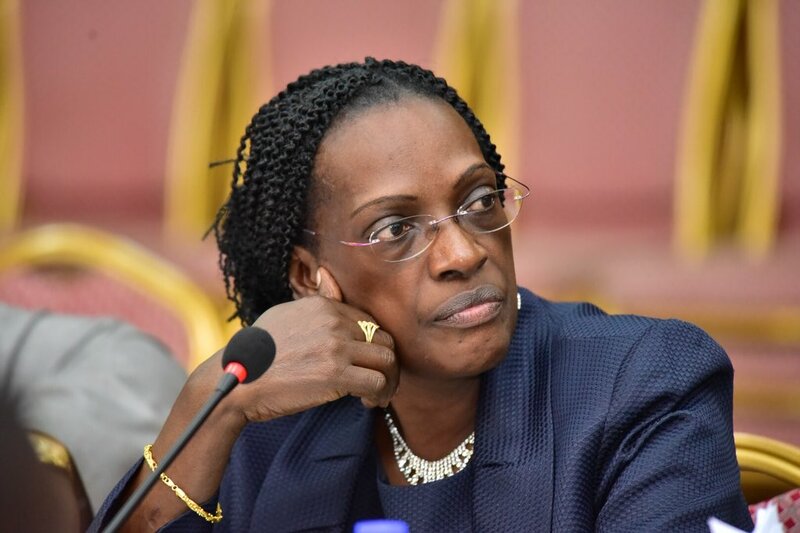 Orech’s statements were in response to concerns raised that some of the documents used to conduct the liquidation business of some of the banks couldn’t be traced, with the Bank of Uganda Head of Security telling Parliament that despite the fact that she had retired from her job at the Central Bank, the embattled former Bank of Uganda boss sneaked out a number of documents from the Bank with the scheme having occurred a fortnight after she had resigned from her position. He told the Committee that although the Central Bank sought to obtain a search warrant to have the documents retrieved, she objected to the process claiming she was being witch-hunted forcing the Bank to abandon the search. According to Orech, Bagyenda managed to beat the security of the Central Bank and managed to sneak out with three bags but the Central Bank managed to only retrieve two documents and this was after Bagyenda’s personal bodyguard had breached the security procedures and refused to have bags searched. Following these revelations, COSASE Chairperson, Abdul Katuntu set up a four-member team of MPs who were tasked to go to Bank of Uganda and review the security camera footage and present a report to the committee highlighting what happened at the time the documents were stolen. The Committee is comprised of Francis Takirwa (UPDF Representative), Nathan Itungo (Kashari County), Betty Muzanira (Rukungiri Woman) and Andrew Aja (Kabale Municipality). On top of that, Katuntu also issued summons to the two security guards that were on duty at that time be produced to the Committee for cross-examination on Wednesday morning.